Embroidery originated from the ancient times and it is the craft of decorating fabric or other materials using a needle to apply thread or yarn. Back then, embroidery was done by hand. Embroidery developed as a form of decorative sewing, and back then, it was used as a mark of wealth and status as well as for religious purposes. In today’s world, embroidery via machines have become commonplace. Embroidery services are not merely for the wealthy, but are available to everyone. Embroidery is commonly used in branding and in decorative ways. It is common to see embroidery used in uniforms, for example, uniformed groups such as the army or police will have their ranks, names and other information embroidered onto their uniforms. Embroidery on uniforms is useful as embroidery is extremely long lasting. Embroidery done with high quality thread is known to remain intact long after the fabric has disintegrated! Many companies also use embroidery for their corporate attire. For example, the company logo is usually embroidered on the chests or sleeves of polo tees, aprons, jackets and even chef hats! Companies like to use embroidery for their logos on their attire if budget allows because embroidery has a higher perceived value than a flat print. Also, embroidery is more durable than prints. Many gowns and evening wear also uses highly embellished embroidery with beads, lace, crystals, etc. to create a stunning look. The design and look of the embroidery changes with time, but the application has and will always be useful in embellishment of gowns. We are also seeing a lot of custom embroidery requests on personal items, for example, embroidery of your name on your golf bags, gym bags, pillow cases, caps, initials on the sleeves of shirts, initials on pocket squares and scarves etc. Luxury bags companies sometimes also provide embroidery services such as embroidering of their client’s name on bags. This customization helps to add a touch of class to your items, and we believe that this trend will continue. 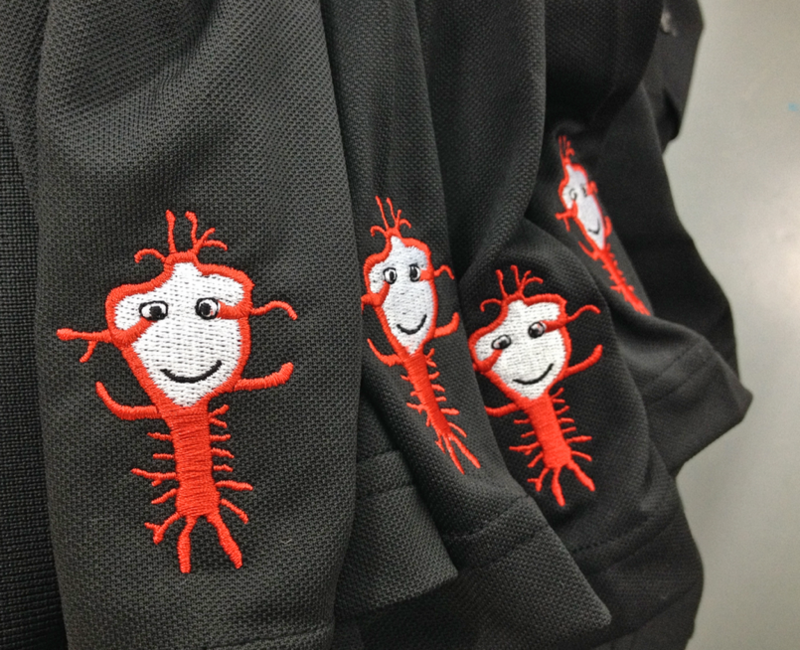 Besides simply giving door gifts at events such as product launches, charity balls and company dinners, we have seen a raising trend of companies who are employing the use of live embroidery services to engage their participants. At an alcohol brand launch, attendees were given a complimentary cap and the choice of embroidering their initials on the back of the caps. At a sports event, athletes were given the choice of buying embroidered badges that they can attach to their caps. At a product launch, customers who purchased bedsheets can choose to have their initials embroidered on the pillow cases. These events were met with enthusiasm by the participants, as they are able to choose their preferred font, thread colours and names to be embroidered on the spot and bring the items home immediately. Besides flat 2D embroidery, Ark Industries is one of the few embroiderers in Singapore who is able to do 3D embroidery. 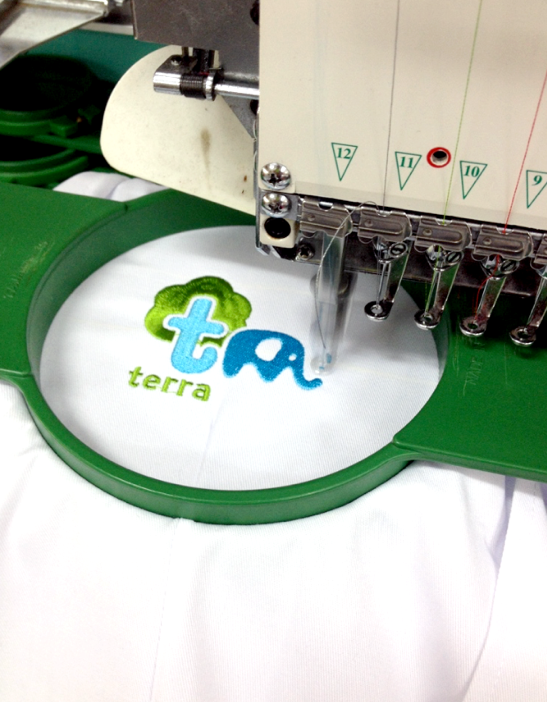 This means that the embroidery will appear raised and 3-dimensional, making the logo or text look outstanding. We usually recommend 3D embroidery on our high quality Yupoong Flexfit caps. At Ark Industries, we have all types of threads available, ranging from neon pink to golds and silvers. We can create every special effects, regardless of whether you are going for live events or corporate attire. Call Ark industries at 6352 0988 for a discussion today on how to make your corporate attire or event pop with our embroidery services!